This day is about YOU. 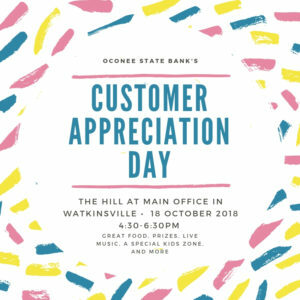 You are what makes Oconee State Bank all that we are and all that we plan to become. Come celebrate yourself, have fun, and enjoy a great time with your favorite community bankers!